Antenna characteristics reconfiguration techniques utilizing solid-state devices such as PIN diodes suffer from nonlinear effects and are susceptible to performance degradation at higher power levels producing harmonic and intermodulation distortion products. 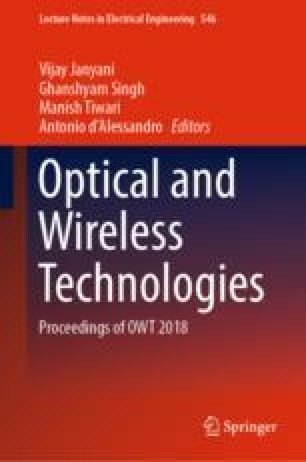 This research work studies effects of the nonlinear nature diodes used for switching in the proposed pattern reconfigurable antenna. A study has been done to identify the maximum power level up to which the device can efficiently work in the linear region. Simulated results present the strength of the harmonic and intermodulation products under different input power levels for the antenna. The antenna is found to work efficiently up to 25 dBm input power level where the intermodulation and harmonic signals strengths are within the permissible level.